An examination of trends in alcoholic and non-alcoholic beverage consumption with an eye toward back of the house synergies. From glasses of water to signature cocktails, beverages are an integral part of any dining experience. In fact, a well-crafted drink paired with the right food has the power to take any dish to new culinary heights. In the everchanging beverage industry, mixologists are becoming increasingly savvy about striking the right balance between flavor, mouthfeel, and visual impact in culinary drink pairings. As in food preparation, the ingredients that go into a beverage make a difference. Beverage expert Tony Pereyra said consumers are increasingly conscious about the health benefits and freshness of what they eat and drink. As a result, bars and restaurants have begun to offer more locally sourced and seasonal options. The undeniably fresh note of fruits such as watermelon, mango and citrus has become increasingly popular in recent years, and the popularity of artisanal non-alcoholic beverages has soared. “It’s becoming not so much a trend, but a lifestyle to eat well, drink well, and live well,” Pereyra said, “and people are leaning toward understanding better quality ingredients, locally sourced ingredients, and keeping things fresh. Less sugar is a big, big part too.” He added that honey and agave are popular all-natural sugar substitutes, each with their own unique flavor palate. As a mixologist who helps restaurants and bars develop drink menus and train staff, Pereyra’s company, The Spirit in Motion, focuses on innovation as well as practicality. He said developing cohesion between the bartenders working in the front of the house, and chefs, which he calls the heart of the house, is important. One way he likes to create culinary synergy is to have chefs and bartenders use the same ingredients. This is called cross-utilization, and it also improves a restaurant’s sustainability. Watermelon is a good example of a food that can be cross-utilized because it pairs well with cilantro, which tastes great in both food and beverages. The rind of a watermelon can also be pickled to be used in food dishes and as an edible garnish. Similarly, citrus peels make for an eye-catching garnish, and Pereyra said he’s heard of businesses saving unused orange sections to make fresh mimosas for Sunday brunch. Less alcohol consumption may be another facet of the growing health movement, especially amongst millennials. A Pew Research Center study from 2009 found that 39 percent of people aged 18 to 29 reduced spending on alcohol or cigarettes due to economic hardships. This is compared to roughly 28 percent of those aged 30 to 64, and only 12 percent of people 65 and older. Additionally, a 2018 Collage Group study found that people in their 20’s tend to prefer liquor to beer, in contrast with the preferences of those aged 30 and above. However, millennials are also big drinkers of craft beer and tend to crave diversity in their alcohol choices. Pereyra is passionate about beverages and brings that passion to his work. For him, it’s exciting to see if he can put the same flavors into a glass that a chef gets onto a plate. However, Pereyra said without the established flavor palate of a spirit, a mocktail can be especially challenging. 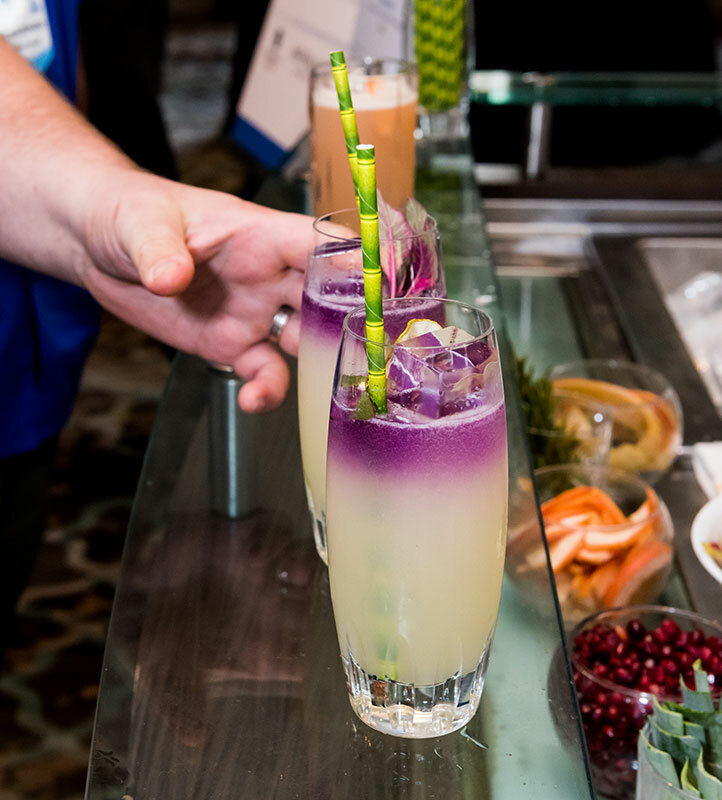 “Developing non-alcoholic recipes that are low in sugar and really still have something exciting, fresh, and looks beautiful – it’s part of the challenge,” he said. Herbal teas are a popular way to give mocktails (and cocktails) an extra note of flavor that really makes a drink stand out. Drinks featuring chemical compounds found in marijuana are increasingly seen as alcohol alternatives. In terms of culinary pairings, the mixologist said cannabis carries desirable herbal, piney and earthy flavors. Although there is room for marijuana-infused beverage industries to expand, Pereyra thinks the trick will be in meeting consumer comfort zones. Caffeinated drinks are another big part of the beverage market, Pereyra said Coca-Cola recently made investments in the coffee industry, which could forecast a spike in popularity for the roasted bean drink. Some beverage vendors, including coffee houses, have started running happy hour promotions without even featuring alcoholic drinks. “More consumers are not only being exposed to different coffee applications, but different coffee equipment, and different coffee tools, and different ways to get your coffee,” the mixologist said. Coffee is increasingly available on tap and with nitro, which gives the classic drink an innovated texture. Mixologists also consider mouthfeel when creating drink recipes, he said. Alongside coffee and beer, cocktails on tap are increasingly available, which ensures a satisfyingly bubbly level of carbonation. Frozen beverages like margaritas, and even frozen coffee drinks, include a built-in tactile element. Pereyra said the trick to a good frozen beverage is finding the right ratio of liquid to solid. When the drink is well done, the ice will hold its form and be invitingly drinkable. For a frothy beverage, the mixologist said the use of egg whites is common, but new trends are gaining popularity as well. Aquafaba, a viscous milky liquid made with legume seeds, is a good vegan alternative to egg whites. Milk punches (milk-based brandy or bourbon beverage) are more popular than ever. 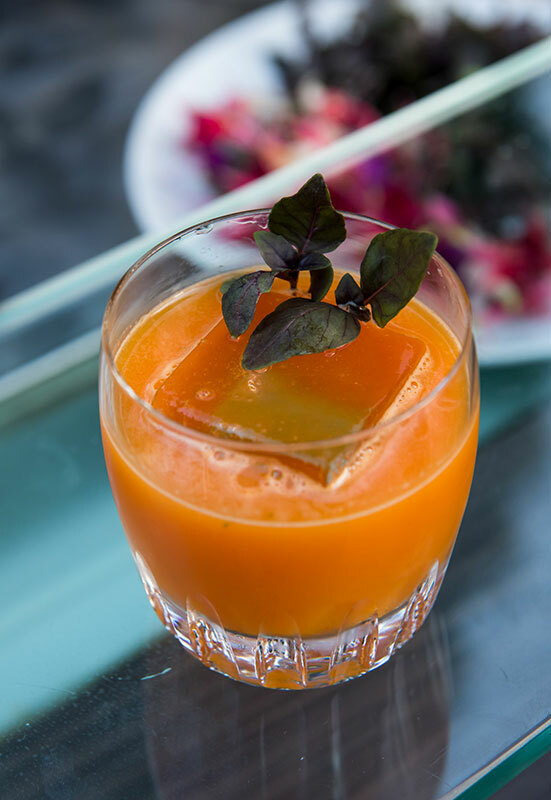 From the pulp of citrus to the stringiness of mango, fruit is another way to achieve a tactile element into a drink. Pereyra said mixologists consider the unique texture of a fruit when crafting a recipe. Edible garnishes are another fun use of fruit that also enhance a beverage’s visual appeal. Because restaurants and bars are increasingly focused on the experience of food and drink, it is likewise important that every aspect of a meal come together harmoniously. With a chuckle, Pereyra said the visual component of beverages must be amazing enough to put on Instagram.